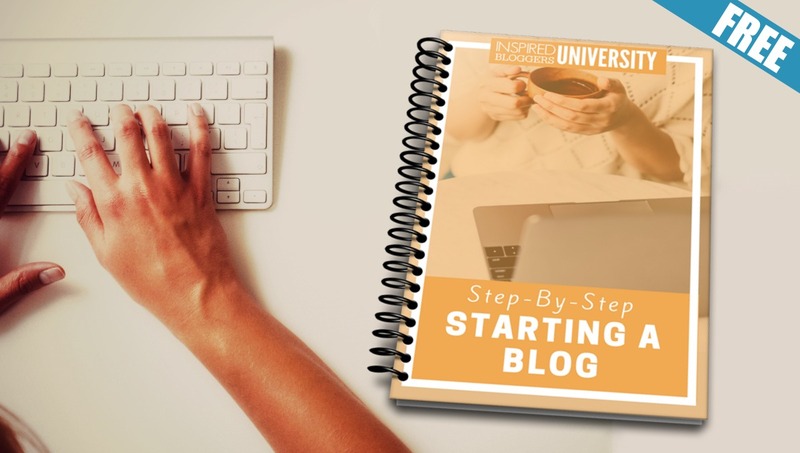 When you are thinking about blogging for business, especially if you have never blogged before, the temptation is jump right into a blog and start writing without any real direction. This is perfectly acceptable for someone who blogs as a hobby. However, if your intention is to create a career and build a blog that will make a significant income, you need a plan. You need to pick your niche. If you are wondering about the types of blog niches available, they are as diverse as the topical index of books in the Library of Congress. Home improvement, crafts, recipes, parenting, history, fashion, education, fiction, technical… you name it. 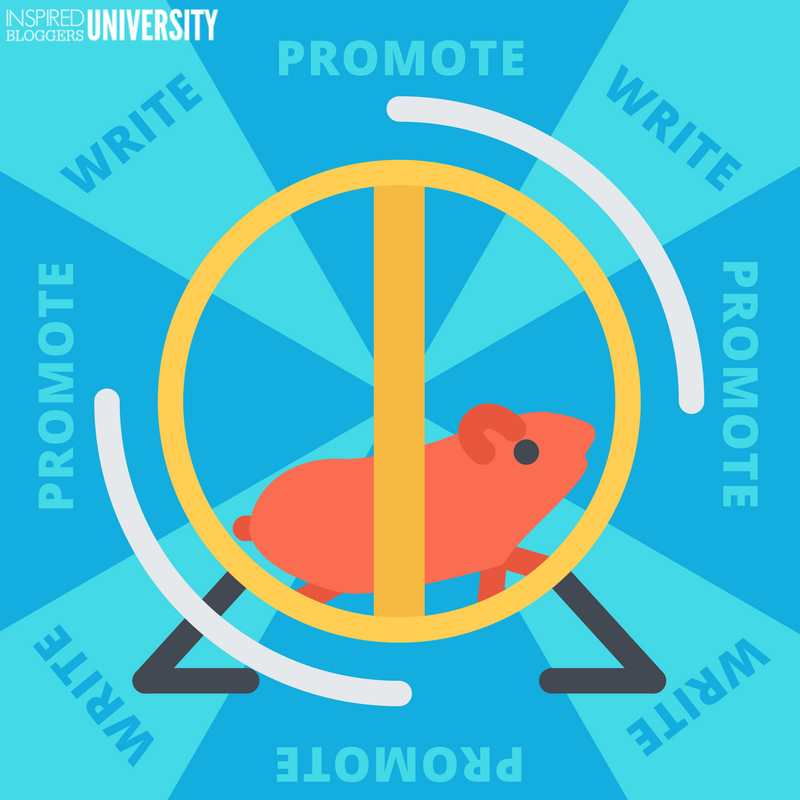 When choosing your blog’s niche, first think about the ONE topic that you could write about forever… about which you would never run out of something to say. For me, I knew that I could talk about our frugal, homeschool lifestyle and never lack a post idea, and on most days, I have more content in my brain than I could ever fit into the editorial calendar for my blog at MeetPenny.com. This is my niche. Next, think about your post topics. What are the subtopics that will support your niche? When I launched my blog, I knew that I wanted to write about saving money, family issues, and educational resources. All of these issues are important for a frugal living, homeschool family, and I used those ideas to create my blog’s navigation menu. Under my categories, I have more subtopics I use as tags to help further organize my categories. As an example, within my frugal living category, I have tags for coupons, income boosting ideas, and money saving tips. 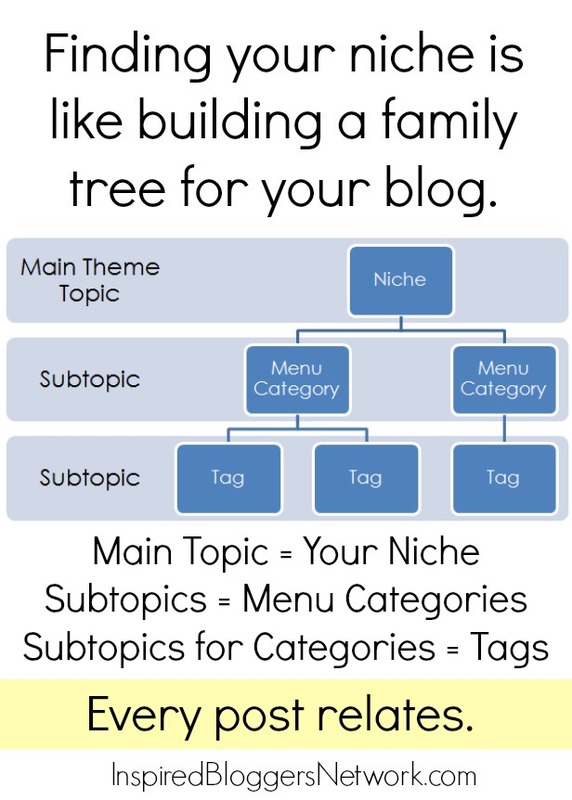 Now that you know your main topic and the supporting subtopics, create a “family tree” for your blog so you can picture how every topic relates. Your main theme (niche) creates the parents for your tree. Next, list the five to eight subtopics (categories) as the children and four to five subtopics for the categories (tags) as the grandchildren. Keeping it real… A mistake I made early in my blogging career was to stop the flow of content related to my homeschool, frugal living blog to post about “how to blog.” In my mind, I was helping other bloggers learn, but in reality, I was confusing my readers with no desire to blog. These posts would have been better suited as guest posts on blogs within the “how to blog” niche. By having the “family tree” visual aid, you can weigh your content ideas and see how they fit your niche, tossing ideas that do not fit. Avoid the mistake I made. If you have a parenting blog and suddenly want to write a post about politics, dismiss it. If an idea for a fashion post pops in your brain and you are a recipe blogger, submit it as a guest post to a blog where it fits. Keep your blog’s topics within your niche and you will find success. Good Article. My niche is health and more specifically nutrition and allergy free diets and the like. I am not much of a recipe formulator at this point but more into writing informative aritcles and posting book reviews and such. I am passionate about this topic so it is not hard to write about for me. And it has grown out of the health journey of my own family. I think that is how most great blogs evolve (for lack of better word). They grow out of where we are in our lives. Sharing from our lives makes us more trustworthy too… in my opinion. I’m wondering if my niche is narrowed down enough. I want my blog to contain a variety of categories but I think most of them fall under my niche of “farmers wife”. A place to help those that need ideas on how to live this crazy lifestyle. So recipes that transport well to the field to feed our harvest crew, raising backyard chickens for eggs, gardening, canning, some farmhouse style diy projects. Too broad?? So more of a lifestyle blog I suppose? Thank you… its very helpful… Im new in blogging… still confused… my neche is education,parenting and home schooling. but i’m still confused… As i’m adding, crafts, articals about education and parenting, stories for kids, printables pdf, worksheets , drawing etc…. but some one told me every topic is of different niche… is it true? How i can relate these all topics with one niche? If your initial categories are education (homeschooling should fall under this) and parenting, I think crafts, articles about education and parenting, stories for kids, printables, worksheets, drawing works under those two categories. 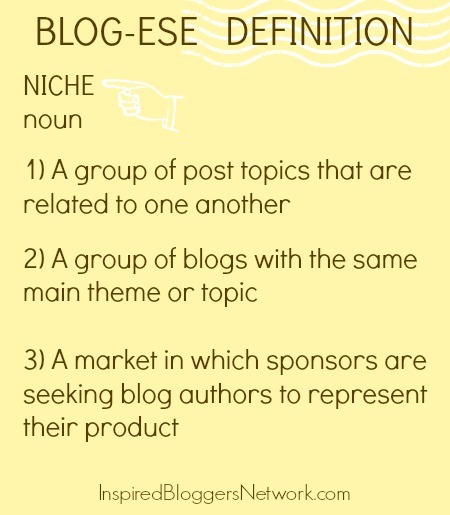 You could make a very specific niche blog from each individual topic but that is not necessary.